Cook Lawn & Pest Service is a full service residential, commercial and industrial pest control company serving the greater Jackson community. We are a second generation family-owned company known for our outstanding customer service: each associate is dedicated to the customer and exhibits integrity and respect. 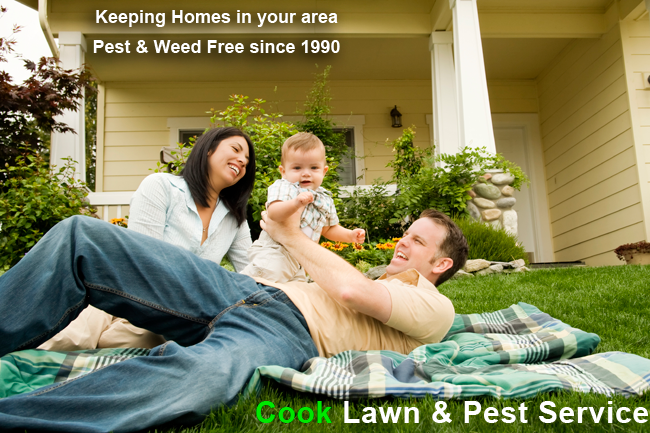 Cook Lawn & Pest Service is Fast, Reliable and Experienced! Cook Lawn & Pest Service has been providing Pest Control Management for 22 years. We continue to set high standards for ourselves so that our customers receive the best possible service. Our technicians are knowledgeable of the latest in pest control techniques, which enables us to customize effective treatment plans for every situation.